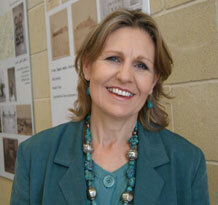 Jenny Balfour-Paul, writer, artist, traveller and lecturer, has researched and worked with indigo for over two decaades. Practical experience with indigo plants and dyeing (including teaching and exhibiting her own work), combined with living and working in the Middle East and North Africa, led on to her PhD at Exeter University's Arabic Department. Based on firsthand fieldwork in many Arab countries, this was subsequently published as Indigo in the Arab World in 1997. Balfour-Paul's research trips extended to Asia and Africa when she was commissioned by British Museum Press to write a book on Indigo worldwide (Indigo, 1998; reprinted in 2006 by Archetype Publications Ltd.). Balfour-Paul writes, lectures, teaches and broadcasts internationally on indigo and many other textile, history and travel subjects. She continues to travel widely in pursuit of her research projects, including a journey to Bhutan in 2004, where, among other things, she looked at lac and lacquerwork. She is an Honorary Research Fellow in the Institute of Arab and Islamic Studies at Exeter University, Fellow of the Royal Geographical Society and Royal Asiatic Society, former member of the Devon Guild of Craftsmen, founding member of the Eden Project's Indigo team, regular contributor to Geographical, and contributing editor to HALI journal of textiles, carpets and Islamic arts. In 2002, Balfour-Paul exhibited her collection of Arab Costumes at the Institute of Arab and Islamic Studies at Exeter University. She was consultant curator for 'Indigo: A Blue to Dye For', a major indigo exhibition initiated by Manchester's Whitworth Art Gallery that toured UK throughout 2007, and organiser of the related international seminar. Indigo artwork commissioned for the exhibition was loaned to the Textile Museum, Washington DC in 2008 for their exhibition 'Blue' (for which Jenny lectured). In 2009 Jenny became a partner in 'Silk Road Connect', an educational initiative launched by ‘cellist Yo-Yo Ma’s Silk Road Project team using indigo as a model connecting arts and sciences to bring ‘passion-driven’ learning into ‘under-served’ Middle Schools in New York City. The Silk Road Project - Silk Road Connect. She was consultant editor for the Indigo issue of ‘Calliope’ educational magazine, with its accompanying teachers’ guide produced at Stanford University. She is consultant for ‘Blue Alchemy: Stories of Indigo’, a feature length documentary by New Deal Films Inc due for release in 2011. Current projects include collaborating with shipwreck experts on recovered dyestuff cargoes and encouraging worldwide revivals of sustainable natural dyes. While researching her forthcoming book about the extraordinary adventures of a Victorian traveller, she has undertaken many unusual journeys, such as to the Pacific Marquesas Islands by local cargo ship, to remote parts of Bangladesh, India and southern China, and, in 2010, taking the last freighter to take occasional passengers from UK to India - via the Suez Canal, Red Sea and infamous ‘pirate zone’ off the coast of southern Arabia.